April is sports eye safety month which means we are spreading the word about how to be safer when participating in physical activity to keep your eyesight at its best. 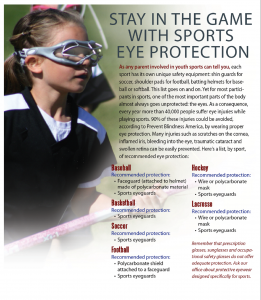 Don’t become one of the hundreds of thousands to have sports-related eye injuries. Find out what you can do to prevent injury!